Kale is very popular among all age groups due to the level of benefits it offers. However, there are also many people who are not aware of immense benefits of kale. If you are also one of them then here is the list of major benefits which you can get from kale. The best part of kale is that it has high number of essential minerals and vitamins but zero fat, In addition to this, kale is also very beneficial for the digestion system of our body. Kale is also a good source of iron which is very helpful in the formation of haemoglobin. In addition to this, kale is also considered as very helpful in strengthening our immune system and healing the wounds quicker. According to studies, it has been revealed that eating diets which contain high amount of vitamin K is very helpful in eliminating various types of cancers. Therefore, we can say that kale also gives our body the ability to fight from cancer. The kale is also including powerful antioxidants such as flavonoids and carotenoids which help in protection against various types’ health complications. Kale is also popular among the people due to its anti inflammatory properties. According to experts 1 cup of kale contains ten percent of omega 3 fatty acids. This ingredient is helpful in fighting various health complications such as arthritis, auto immune disorders and asthma. Kale is highly recommended for the people who are facing heart complications. Additionally, if you are eating kale in adequate amount you can easily control your cholesterol levels to a great extent. Vitamin A is one of the essential vitamins which is needed by our body since it is helpful in curing various complications such as eyesight problems and needed by our body in various processes. Kale contains vitamin A in adequate amount. Kale is also a good source of vitamin C which is further helpful in building up strong immune systems. In addition this, it also improves metabolism as well s your hydration process. According to per calorie, kale is the biggest source of calcium. Kale has even more calcium than milk which is helpful in preventing bone loss and strengthening of bones. Additionally, it also prevents osteoporosis and maintains flexibility. Kale also has a detoxifying nature and is very helpful flushing out all types of toxins which are present in our body. 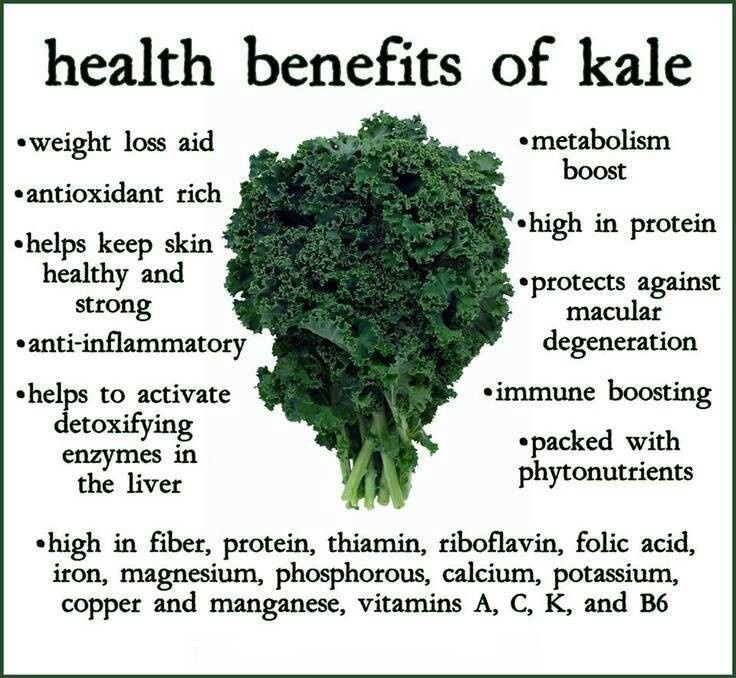 These are some of the benefits which you can get by the regular consumption of kale. In addition to these, kale is also considered to be very helpful in weight loss, healthier hair, skin and nails.